The 2019 San Antonio Club dogs shows are THIS Saturday and Sunday and the Cluster kicked off on Thursday! Please take a look at the judging schedule for the current show times. We are starting a little early at 8:00 and don't forget it's Daylight Saving Time on Sunday so it will feel like it's 7am. Reminder it's western wear, so no suits or ties please! Come out and show your western wear! Looking forward to all the great events this weekend. 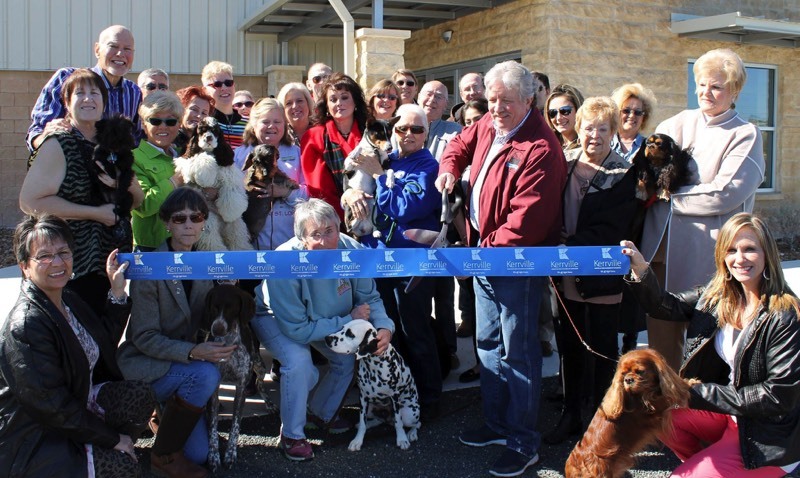 Dog fanciers help promote the Kerr County Youth Event Center's ribbon cutting ceremony on February 4, 2016. What a great looking group of dog fanciers and canine companions! 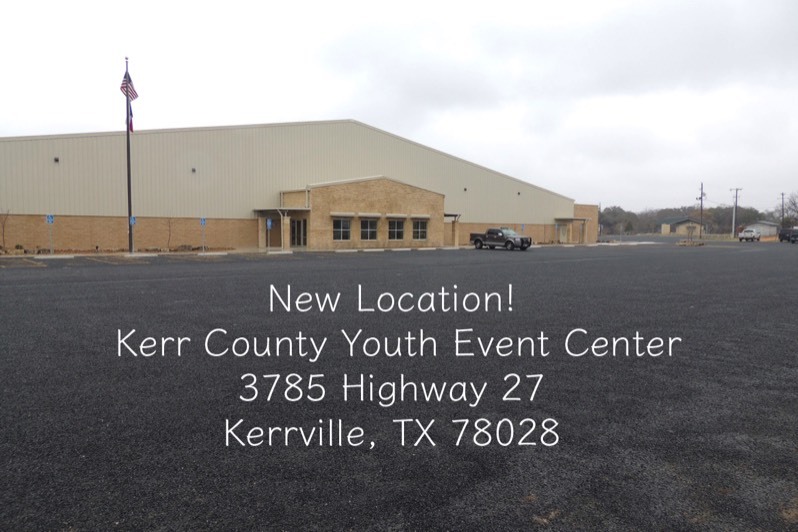 We're very excited to host our shows at this wonderful new location!